Today, world-renowned graphics card and mainboard manufacturer, Micro-Star International (MSI), officially launches the most powerful graphics card–GeForce GTX 690, adopting dual GeForce GTX 600 GPUs with 3072 CUDA Cores and 4GB/512bits GDDR5 memory. NVIDIA GPU Boost technology allows the core clock to be automatically adjusted on the fly for optimal gaming performance. When used with the MSI Afterburner overclocking utility, the power limit and clock offset can be adjusted as well for better overclocking capability. A single card can also support NVIDIA 3D Vision Surround technology for up to four monitors to give gamers the best gaming experience. 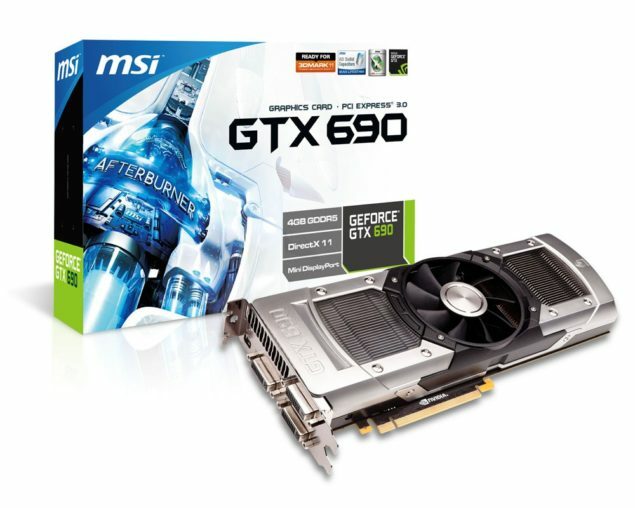 MSI GeForce GTX 690 is the best choice for the enthusiast gamers. 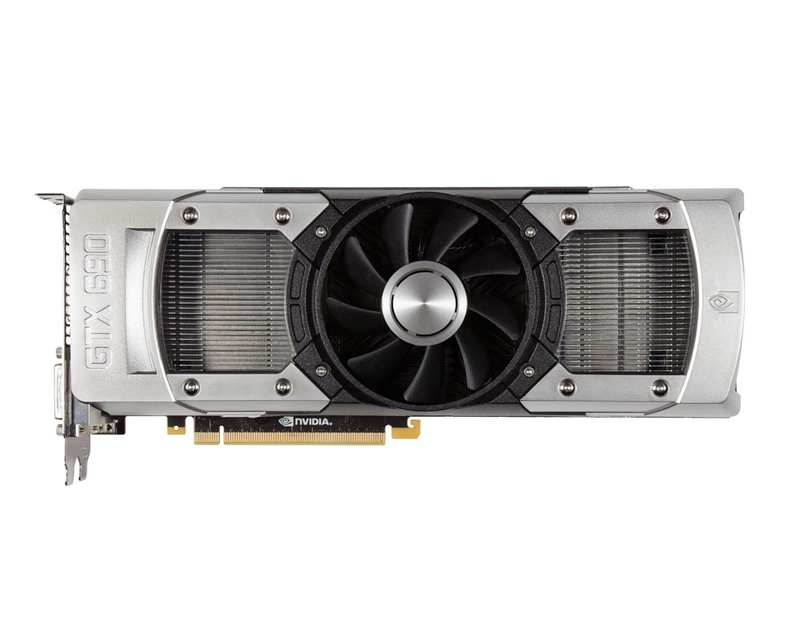 The MSI GeForce GTX 680 graphics card supports NVIDIA’s GPU Boost technology that allows the core clock to be adjusted on the fly for optimal gaming performance. When used with MSI’s exclusive Afterburner overclocking utility, gamers can control the power limit and clock offset for better overclocking capability. The card is also equipped with advanced fans speed control based on GPU temperature. Afterburner supports the free video/audio capturing function Predator and can even use smart phones to control the graphics card in desktop machines. When combined with the Kombustor burn-in testing function, it is an indispensable tool for enthusiasts looking to get the most out of their graphics card. MSI GeForce GTX 690 graphics card features three dual-link DVI and one mini DisplayPort connector. With just one GeForce GTX 690 graphics card, users can experience vivid 3D games with 3D glasses and use three 120Hz monitors through advanced 3DVision Surround technology from NVIDIA. Additionally, support for up to four displays driven by one graphics card allows gamers to make the most of multiple-monitor gaming configurations. For more information about MSI GeForce GTX 690, please visit: http://event.msi.com/vga/N690GTX-P3D4GD5 . NVIDIA hands out a Crowbar for use in case of Zombies or something else – Another GeForce GTX 690 Teaser?